Rolled Oats, which are commonly referred to as just "oats" are crushed grains of oat that have been rolled into flakes. The flakes are steam treated in order to soften them and make it easier for the body to digest the grains. Oats can be included in common breakfasts and are an excellent source of iron, dietary fiber and thiamin. Here comes an Easy, delicious and healthy Oats idli, Idli is a traditional breakfast item in every South Indian households. It is a comfort food which is enjoyed by everyone of all ages. These idli’s taste great when had hot with sambar and chutney. For new mom this is one of the best Confinement food to boost the milk supply. 2. Add water to the idli rava and let it soak for about 25 to 30 minutes. Drain any excess water. Wash oats and drain excess water. Now mix the ground urad dal paste with idli rawa and oats. Mix well till no lumps are formed. 5. Fill the idli cooker or pressure cooker with 2 to 3 cups of water and put the idli maker into the cooker and steam it for about 13 to 15 minutes. Serve this soft healthy Oats Rawa Idli with your favourite chutney and Sambar. 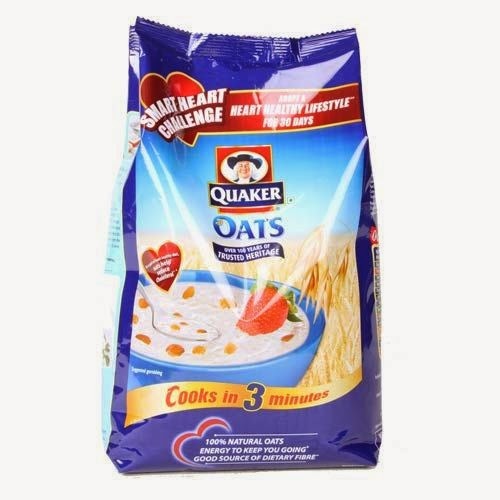 · U can Fry Oats and make coarse powder. But I prefer to add directly for the fast cooking process. · Adjust Oats and Idli Rava quantity as per your requirement.